John F. Kennedy was America’s second youngest elected president. He oversaw one of the most crucial moments in the Cold War (Cuban Missile Crisis) and sought to affirm America’s beliefs in basic human rights by calling for civil rights legislation and an attempt to reduce poverty. Kennedy was assassinated on November 22, 1963 – a tragic death that shocked America and the world. 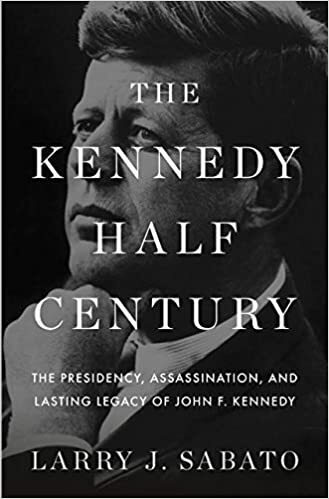 Born on May 1917, John F. Kennedy came from an illustrious political family; his father Joseph Kennedy was a leading member of the Democratic Party, and Joseph encouraged John F. Kennedy in his political ambitions after the war. John graduated from Harvard after completing a thesis on “Appeasement in Munich.” His thesis was later converted into a successful book: Why England Slept (1940). Before America joined the war, John joined the Navy and saw action throughout the Pacific theatre. In August 1943, his boat was rammed by Japanese destroyer Amagiri. John F Kennedy was later decorated for his outstanding bravery in rescuing a fellow crewman; he was also awarded the Purple Heart for an incident later in the war. Afterwards, Kennedy was modest about his actions, saying he felt a bit embarrassed as it resulted from a botched military action. In 1946, he won a seat in Boston for the US House of Representatives, and in 1952 got himself elected to the US Senate, defeating the incumbent Republican. In 1953, he married Jacqueline Lee Bouvier. In 1957 he was awarded the Pulitzer Prize for biography for his book Profiles in Courage, a book about US Senators who stood up for their personal beliefs. In 1956, he was nearly chosen to be the Vice Presidential candidate for Adlai Stevenson. The national exposure raised his profile, and in 1960 he was selected to be the Democratic nomination for the Presidency. In 1960, in a very tight election, John F. Kennedy narrowly defeated the much fancied Republican, Richard Nixon. It was a memorable election with many millions glued to the TV in the pre-election hustings. John F. Kennedy came across very well on TV and looked more relaxed and professional on camera. It was the first time a Roman Catholic had been elected president and it was a big issue in America where many Protestants distrusted the prospect of America being influenced by the Vatican. He had to assure voters he was not a Catholic candidate for the Presidency, but someone standing for President who happened to be a Catholic. During his inauguration, JFK gave a memorable speech, where he famously encouraged citizens to help the nation become strong again. He also called for greater internationalism. In 1961, Kennedy ordered the Bay of Pigs invasion of Cuba. It was mostly led by Cuban exiles with minimal US support. However, the invasion was a failure leading to embarrassing negotiations with Fidel Castro’s Cuba. In 1962, the world came extraordinarily close to nuclear war during the Cuban Missile Crisis. The Soviet Union moved missiles to Cuba. Many in the American military were keen on an air strike on the missile bases, but Kennedy chose a more cautious diplomatic approach. 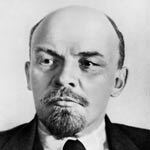 He found a way to offer Khrushchev a way out without losing face, while making sure the missiles were removed from Cuba. During his brief presidency, John F. Kennedy oversaw an escalation of US involvement in Vietnam, which included sending 16,000 military advisers to the country. Later, Kennedy’s Secretary of Defence Robert McNamara said Kennedy considered pulling out of Vietnam in 1963 and believes that if Kennedy had survived, American involvement would have ended. Tapes showed that Kennedy’s former Vice-President, Lyndon Johnson later criticised Kennedy’s opinion that America should withdraw. 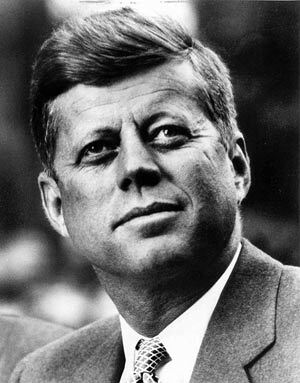 John F. Kennedy was assassinated in November 1963. Lee Harvey Oswald was arrested and put on trial for his murder. However, before he could reach trial, Lee Harvey Oswald was himself killed by Jack Ruby. Lee Harvey Oswald always pleaded his innocence and many believe the assassination was a wider conspiracy. Citation: Pettinger, Tejvan. “John F. Kennedy Biography”, Oxford, www.biographyonline.net, 11th Feb 2013. Updated 26 June 2017. John F. Kennedy, Amherst College, Oct 26, 1963 – Source JFK Library, Boston, Mass. October 31, 1960. Online by Gerhard Peters and John T. Woolley, The American Presidency Project. Famous leaders – A list of famous leaders who led their country. Including Lenin, Churchill, Napoleon, and F.D Roosevelt. People of the Cold War (1948 to 1990) – Famous people who participated in the Cold War between the Soviet bloc and the US/NATO allies.